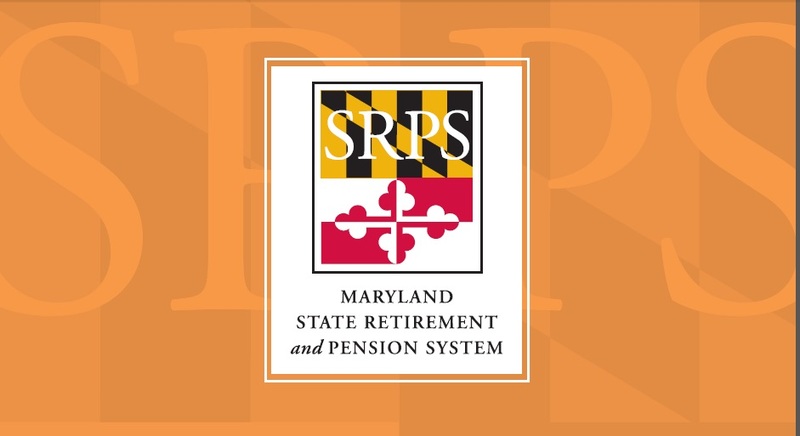 Good news from the Maryland state retirement agency: investment earnings over the past year ending June 30 rose a strong 14.37 percent. Don’t get too excited: The agency is still digging out of a deep financial hole caused by the Great Recession, poor decisions by former governors and legislators and poor advice from the agency’s consultant. The retirement fund’s health, though, is showing solid improvement. Since the depths of the Great Recession, when the pension fund hit a low of $28.6 billion, the value of its assets have risen 57 percent, now topping $45 billion — a boost of over $5 billion in the past year alone. Equally important, reforms to the system have kicked in: Increased employee payments, tighter eligibility rules, contributions from counties for teacher pensions and phasing out the ill-conceived Corridor Funding Methodology that let politicians reduce state payments while ignoring the retirement fund’s deterioration. Combined, all this has kept the retirement fund on track to return to 80 percent of full funding by 2025. The corner may have been turned. Critics, especially conservatives and Republicans, continue to complain about fees paid to money managers — $273.8 million in fiscal year 2013 — rather than dumping all the state’s stock and bond investments into passive, low-fee index funds. But the state agency recouped its payments to professional financial advisers many times over during the past two years with total gains of nearly 25 percent. Moreover, fund managers already have shifted more assets into index funds: 63 percent of its domestic equity investments are in these passive accounts; 47 percent of international equities are held in index funds, too. Recent strong returns could well persist in upcoming annual reports as the nation’s economy finally starts to gain steam and enters a robust growth phase. It’s a good time to be a pension fund manager. But there will be dips and plunges along the way. There always are. Economic cycles flow in two directions — up some years, down in others. To prepare for the down years and slower long-term growth, the state’s retirement fund managers continue to re-channel investments into safer, less volatile financial instruments. The goal is long-term, stable growth, not flashy, short-term gains (or losses). Some states get a better overall investment return than Maryland by placing riskier bets. But they are using retirement fund money for these gambles, which in some cases have backfired quite badly. Still, we shouldn’t place too much importance in these annual profit-or-loss statements from government pension funds. Everyone with stock portfolios knows the short-term picture can look terribly bleak (for example, last Thursday’s and Friday’s, steep plunge in the Dow-Jones Average). But over the long haul — a decade or more — historic patterns are quite positive. That’s what counts — the long-range results for pension funds. Harsh critiques of a fund’s 12-month performance can be misleading. Placing too much emphasis on the unfunded actuarial liability also can lead to false conclusions. Yes, Maryland’s unfunded IOUs topped $19 billion as of last year. But there’s plenty of money in the retirement plan to write pension checks to 132,000 retirees and beneficiaries for years and decades to come. Meanwhile, reforms taken over the past three years will continue narrowing the gap between what goes into the fund and what is drawn out to pay pensioners. The saving grace is that Maryland only pays out a fraction of the fund’s assets each year. Most of the 192,000 active participants in the program won’t start collecting retirement checks for another 20 or 30 years. There’s plenty of time to gradually eliminate the unfunded liability. That’s the stated objective of the retirement agency’s trustees. They’ve made substantial progress in the last few years. If the nation’s economy continues on an upward trend, the agency’s financial picture could brighten faster than expected. For the second year in a row, Maryland’s pension fund missed its target for return on its investment portfolio by a wide mark, earning just 1.16% for the fiscal year that ended June 30 compared to its annual goal of 7.55%. Last year, the fund made 2.68%. Because of the lagging returns the $45.5 billion fund is apparently worth $300 million less than it was worth June 30 last year, and long-term liabilities are over $20 billion.